In addition to the P3, we are also the developers of the P-ROC control system and associated circuit boards, many of which are used in the P33. 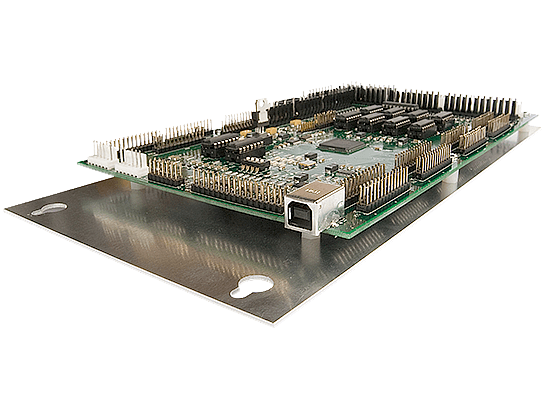 The P-ROC is a board that interfaces a pinball machine to a computing element. The original P-ROC is used to retheme existing games, including WPC, WPC-95, Stern Whitestar, and Stern SAM generations of machines. The newer P3-ROC board is the heart of our advanced pinball control system, which uses small driver and switch boards to efficiently control features distributed around a playfield. This advanced system significantly reduces wiring and debug complexity and subsequently manufacturing costs and customer support needs. The P3 Pinball Platform is built on top of our P3-ROC, PD-16, PD-LED, and SW-16 boards, as are machines from other high volume pinball machine manufacturers and custom game developers. For more information about these and other boards, and to purchase them for your own projects, please visit the Circuit Boards section of our online store. To learn more about software development for P-ROC projects, visit our Software Page.